Chef and restaurateur Lim Tiam Hai's passion for all things vintage is evident the moment you step into Kombi Rocks, a diner in Yio Chu Kang Road. From Beatles memorabilia to old-school telephones to classic toy car models that number in the hundreds, his retro-themed establishment serves as an eye-watering tribute to the good old days. This obsession carries over to his cars. The 41-year-old, who owns more than 30 classic cars and motorcycles, values rarity over everything else. Which is why when an opportunity arose two years ago for him to own a piece of American history, he jumped at the chance. He remembers: "I was cooking at work when a man who had heard about my love for old cars came into the kitchen and asked me if I wanted a car, pointing to a tiny picture on his phone." That car was a 1962 Chevrolet Impala - an American muscle car back in the day. When Mr Lim viewed it that evening, he remembered it had a "mint interior and weathered exterior". He did not need convincing. He bought it on the spot for an amount he declined to reveal and had it towed back to his garage. According to the car's documents, it is a right-hand-drive model that was made by the Chevrolet factory in Canada and shipped to Singapore. Other than that, Mr Lim knew little else about the car's history until another chance encounter early this year. "A man who had seen my car on Facebook contacted me and told me the Chevy belonged to his late grandfather, who was a shipping magnate," he says. He drove the car from 1962 until his death in 1980, Mr Lim was told. After that, the car was deregistered and kept in storage. The man who sold the car to Mr Lim was the magnate's caretaker. 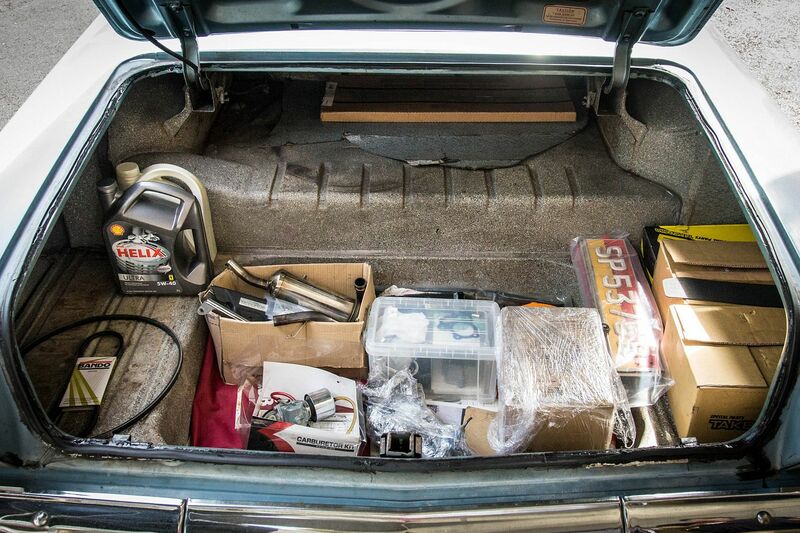 Although the Impala had only 32,000km on the clock, the engine had seized and the drum brakes rusted and jammed. Mr Lim had to overhaul the engine and replace the wheels so that he could fit modern discs brakes. He also fitted air- conditioning and bought new exterior emblems from the United States to replace the old faded ones. He estimates the cost of restoration at about $50,000. But there was one thing he wanted to preserve - the car's weathered patina. He says he might give the light blue car a "glorious and loud coat of paint" one day, but for now, he wants to "appreciate its 54-year- old look". At 5.3m long and 2m wide, the Chevy does not fit easily into many parking spaces. Mr Lim has to plan his route in advance and avoid multi-storey carparks and narrow roads. Parallel parking is also out. Despite that, he says that driving the car is a breeze. "It has no power steering, but the helm is surprisingly light. It's comfortable too. The car bounces like it's a boat riding on waves," he says with a laugh. The car is registered under the Classic Car scheme and he drives it about 20 times a year. When not in use, it is parked at home or at his diner with his other cars. The fact that cars like this were also favoured by the Mafia in 1960s America is not lost on Mr Lim and his family. He admits to "occasionally taking along toy rifles during family drives to role-play". His wife, 40, looks after their nine-year-old son, but helps out at the diner too. Mr Lim says his favourite part of the car is its rocket-inspired, fintail rear tail-lights. "Cars of the early 1960s amaze me because details such as fintails and jet lights were inspired by man's travel to the moon during that time," he says. When asked if he would sell the car, he declares: "I doubt I ever will. I believe the car found me and my son says he wants to be the third owner." • The writer is a contributor to Torque, a motoring monthly published by SPH Magazines.